Musical ensembles consisting of all female players had existed since the 1920s, but their popularity really took off during World War II. 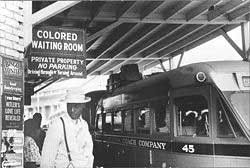 It wasn't just the draft, though - all of America was on the move, and the fixed cultural "norms" of segregational Jim Crow laws were about to be curved and bent like the brass instruments of a swing band. Contributor Victoria Balloon takes a look at one such group of women who could take off with style and the legacy of syncopated treasures they left behind. In her book Swing Shift: "All-Girl Bands" of the 1940s, Sherrie Tucker writes how "the war thrust the swing industry (and other industries) into a supply-and-demand crisis that required drastic reconfiguration of workers and consumers." Separated from loved ones and far from home, Americans found "diversion, comfort, and social contact through music and dance." Swing music became patriotic - defense workers danced to it and solders longed for the reminders of home and what they were fighting for. The draft made it difficult for the traditional male bands to keep up with the demand, while wartime restrictions on travel and commodities made it difficult for any band to get to their gigs. For women who were musicians before the war or who intended to keep on playing after, the increased exposure of the all-girl bands gave the impression that all-girl bands and women as musicians were "just a fad," or for wartime only, until the boys came home. Band leaders like Ina Ray Hutton and Phil Spitalny had already demonstrated that all-girl orchestras possessed legitimate talent that people wanted to listen to, but these all-white groups never encountered the issues of race. Being black and female gave these musicians two counts against hiring them, but these women wanted to play music and would not be stopped. They heard their brothers, boyfriends, and heroes swing and decided they could do it, too. They learned to play - either through school bands or by ear, sitting in on jam sessions the way men did - and formed their own bands, with names like The Swinging Rays of Rhythm, the Darlings of Rhythm, and the Prairie View Co-Eds. The black theater circuit in the north was small, and only the most well-known African-American bands were booked. As a result, many of these black all-girl bands were confined to road trips and mostly one-night engagements in the South and thus encountered Jim Crow laws. 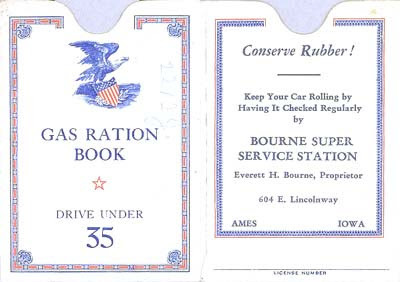 Because of the difficulties of public transportation and wartime rationings, tours were impossible for black bands that did not have their own bus. They had to keep moving; both to get to the next gig as well as avoid the inevitable harassment by authorities. 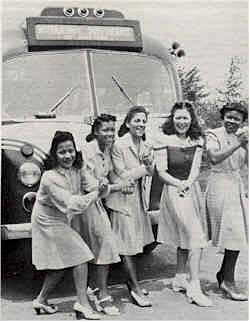 The longest lived of the black orchestras (1937- 48) and considered today to be the most renowned of the 1940s "all-girl" bands, The International Sweethearts of Rhythm began in the late 1930s at the Piney Woods School, a foster-child institution for African-American and minority children in Mississippi. The Piney Woods Country Life School was founded 1909 by Laurence C. Jones, who emphasized training the "head, heart and hands of youth." Some of the students were poor and orphaned, some were physically handicapped. Others were more affluent and able to pay, but according to the schools' philosophy, none who were willing to work were turned away. Dr. Jones believed in sending "musical ambassadors" to promote the school and give it publicity throughout the region. He noted too, the popularity of all-white orchestra directors Ina Ray Hutton and Phil Spitalny and "conceived the idea of glorifying 'the girls of tan and brown' orchestrally." 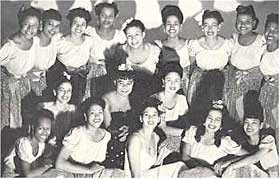 Band leader Consuella Carter (an alumnae of the school and veteran of one of the school's early vocal touring groups, The Cotton Blossoms) began building The Sweethearts from talented students aged 14 to 19, including some members from the school's junior college. They played dances, fund-raisers, and conventions in Mississippi and adjoining states. Dr. Jones sometimes appeared with the band to give lectures regarding the school and its mission. 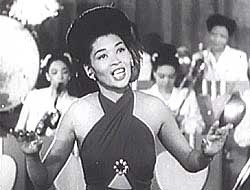 Edna Williams became the Sweethearts' musical director. A talented trumpet player who was sometimes called, "the female Satchmo," she was fully capable of filling in on any instrument in the orchestra. 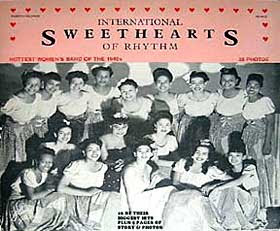 In 1940 the Sweethearts made their big debut at the Howard Theater in Washington DC. 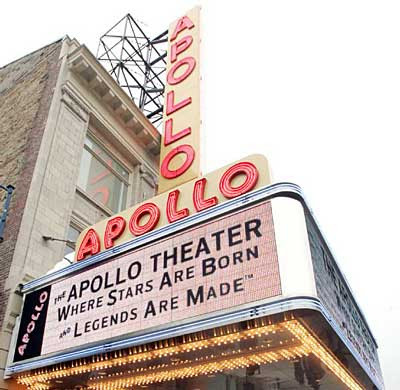 It was so successful that a contract to play New York's Apollo Theater was immediately signed. Click on this image to read an article from The Afro American of Baltimore, MD. Be sure to scroll up and read the second article about the Sweethearts' first film! Under the Piney Woods management original band members were paid $7 a week for food and $1 extra. Bookers convinced manager and chaperone Rae Lee Jones (no relation to Laurence C. Jones) that leaving the school and letting Albert Dade and Dan Garey manage the band and giving Amusement Enterprises of Washington DC booking rights would result in better incomes. In April 1941 the Sweethearts severed ties with the school. 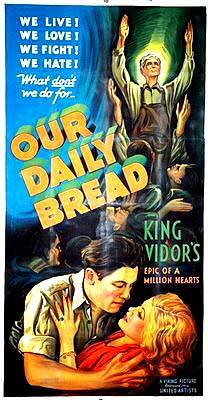 Though the band did see an increase in pay to fifteen dollars a week, it was still far below union levels. Original band members were told that they owned a house outside of Arlington, Virginia, and that most of their money went into paying off the mortgage. Later, when Professional musicians were hired, they were paid at very different levels than the original girls who had been at the Piney Woods School. Eddie Durham (left) and Jesse Stone (right). However, separating from the Piney Woods School did allow the business to hire professionals. Musical director (and solo trumpet player) Edna Williams was responsible for the band's early sound, but it was Eddie Durham, formerly a trombonist with Count Basie, who worked with the strengths of the individual band members to create solos and helped them polish it. Durham also contributed arrangements to Glenn Miller and Artie Shaw, and after he formed his own band in 1942, was often billed as "The Sepia Phil Spitalny." After Durham, Jesse Stone hired more professional musicians and improved the Sweethearts' overall musical technique. Both Stone and Durham knew that the band members weren't being paid what they were worth and were suspicious of the band's finances, and both eventually quit the band over these issues. Another change was the band's leader. Anna Mae Winburn was already a seasoned professional when she joined the Sweethearts and had been singing with and directing several professional male orchestras, such as Frank Shelton "Red" Perkins' Dixie Ramblers and Lloyd Hunter's Serenaders out of Omaha NE. 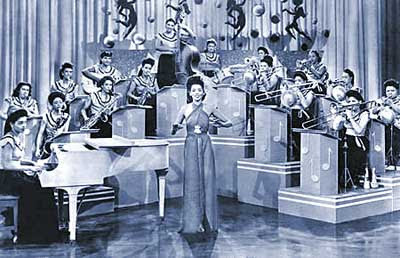 In 1941 she was fronting the Blue Devils of Oklahoma City; however, many of the musicians were lost to the draft because of World War II and she was left without a band. It was the owner of a ballroom in Omaha who recommended her to the Sweethearts. She recalls that, "When I first joined the Sweethearts I said what a bunch of cute girls, but I don't know whether or not I can get along with that many women or not." Apparently she could, and the dynamic Winburn conducted and sang with the band until its demise in 1948. Of course, once separated from the school the pool of available musicians was no longer limited to the student body. Professionals were hired, and this is how trumpet player Ernestine "Tiny" Davis joined. Born between 1907 and 1913 in Memphis, Tennessee, her introduction to the trumpet was quite simple: she saw the boys at school with trumpets, and she asked her mother to buy her one. Her family was by no means wealthy, but Davis did eventually get her trumpet, which she practiced on top of the barn. 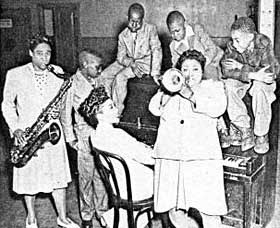 In the early thirties Davis formed her own group, the Torrid Eight, which played clubs in Kansas City, and in 1935 she joined the Harlem Play-Girls organized by Sylvester Rice. 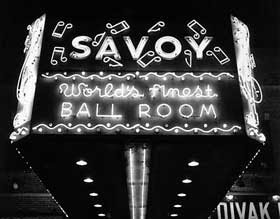 This band was considered one of the finest of the all-black jazz dance bands, and Davis traveled the country, winning over crowds at the Savoy Ballroom. When the Sweethearts went professional in 1941, hiring a musician of Davis' caliber was a smart business move. However, women who played in all-girl bands had to be more than musicians: they were entertainment, and they had to be glamorous. During the war years they were also seen as the epitome of the sweethearts back home the boys were fighting for. Both short and wide, Davis did not fit the usual descriptions of feminine charm. There were some all-girl bands that would have insisted upon her losing weight, or simply would not have hired her, but Davis built a whole stage persona around the name "Tiny," billing herself as "245 pounds of jive and rhythm." (Tucker 61, 49) In the 1947 Soundie How 'Bout That Jive?, listeners knew Davis meant it when she belted out the words: "Mama's round & brown & can roll just like a ball/ Yes mama's round & brown & can roll just like a ball/ She's got a lot to give & daddy you can have it all." Eventually, Louis Armstrong would even attempt to steal trumpet player Tiny Davis away from the Sweethearts by offering her ten times her current salary. Tiny did not go with him. In later years, she simply said, "I loved them gals too much. Them was some sweet gals - you know." 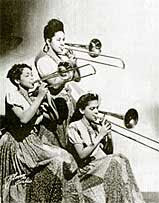 The Sweethearts hired the first white woman, trumpet player Toby Butler, in 1943. Butler was a white woman who had been raised in Virginia by a black woman and her two daughters. Personal friends of Sweethearts' manager Rae Lee Jones, it was the Young family who first took her to hear the band. 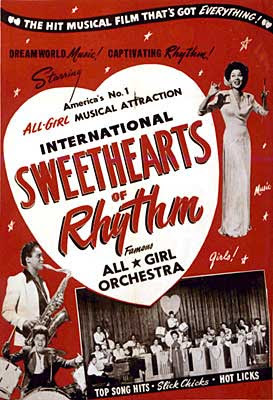 Roz Cron also joined the Sweethearts in 1943. She was 18 years old, an alto saxophonist from Boston with a classical background and who could read music. "I thought I was great," she remembers. "But when I joined this band, many of these girls had problems reading because they learned to play the hard way. but what they had was a relaxed way of approaching the music-their beat was different from our more uptight white rhythm." In some ways blacks would have been safer in an all-black rather than an integrated band. The white members either had to wear makeup to pass for black, or rely on the "one drop" rule of Jim Crow laws - meaning that there were in fact black persons who appeared to be as white as anybody else. 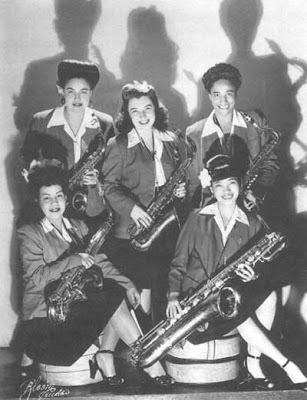 White women joined black bands because they wanted to learn more or play "real" jazz and swing music, not the watered down version of black arrangements prevalent in all-white female orchestras like Phil Spitalny's Hour of Charm or Ada Leonard and Her All-American Girls. Through tricks of makeup and hairstyling, and because they were traveling with so many mixed-race and light-skinned women who were considered legally black, Butler and Cron were usually able to pass for black; but when they weren't, Butler described the harassment as "pretty bad." "In one place we were warned before we got there not to get off the bus because they had placed these firebombs, I guess you call them, into the dance hall and they were set to go off. So we never played the gig." (Tucker 149-50) At the same time, when the Sweethearts and other African-American bands went to small towns in the South, people really came out to see them because the bands were regarded as something special, proof that there were other roles for blacks to play in American culture. The Sweethearts always appreciated their support and tried to give them a great show. 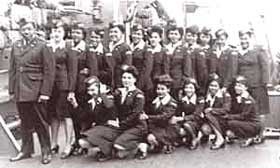 Letter-writing campaigns by black soldiers overseas led to the band embarking on a 6-month European tour in 1945, making the Sweethearts the first black women to travel with the USO. 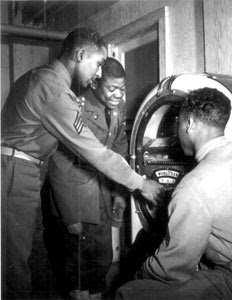 They also played Armed Forces Radio broadcasts of Jubilee, a show targeting African-American soldiers. (Tucker 165) Unfortunately, these USO shows and entertainments were just as strictly segregated as entertainment in the United States. 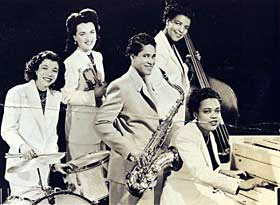 After the demise of the Sweethearts, Tiny Davis formed a six member ensemble called the Hell Divers and toured the United States and Caribbean until the early 1950s. Davis and long-term partner drummer/pianist Ruby Lucas (who also performed under the name of Renee Phelan) ran a bar called Tiny and Ruby's Gay Spot in Chicago during the 1950s. 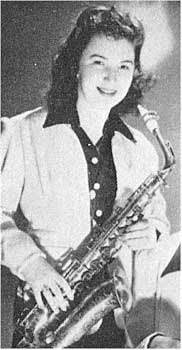 Vi Burnside, one of the Sweethearts' saxophone soloists, played there as well as Davis' own group. In the 1970s Davis was part of a three piece ensemble that played for senior citizens and hospital patients. 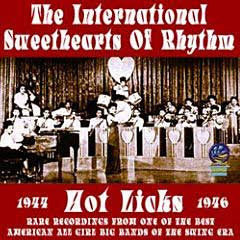 The Sweethearts of Rhythm appeared in three shorts: She's Crazy with the Heat (1947), That Man of Mine (1947), and How 'Bout that Jive (1947). 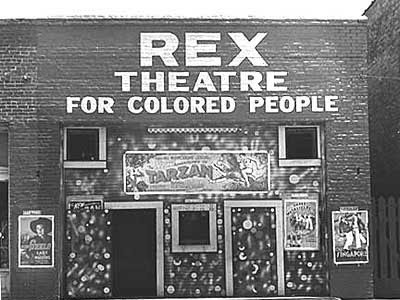 Producer Alexander distributed these short features to theaters catering to black audiences and also re-edited the films into numerous shorter clips to be used as Mills Panoram Soundies. Harlem Jam Session (1949) was a short-subject comprised of footage shot mostly in 1946. 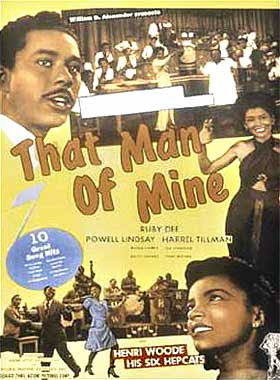 These films capture the Sweethearts during their heyday, but through a combination of film resolution and editing, they do not clearly show the integrated racial makeup of the band, which would have made distribution more difficult. Because they traveled the South when it was dangerous to do so and their very existence challenged the traditional roles of African-Americans, many former band members considered their experience in black bands as "paving the way" for the freedom riders and civil rights advocates of the 1950s and 60s. (Tucker 142, 145) At the same time, musicians who played in African-American bands did not necessarily perceive their experiences as being particularly historical or important. Rather, they did what they did because they needed a job and the vacancy was there. These ladies wanted to swing, to "fake, ride, and take-off" the way their male counterparts did. The Big Bands faded from the scene, and groups like the International Sweethearts of Rhythm followed, but we at the Bijou are so happy that their recordings and films have not faded, but remain for all of the public to enjoy. Sherrie Tucker's Swing Shift: "All-Girl" Bands of the 1940s looks at a cross-section of the different bands and their activities during the war years. Stormy Weather: the Music and Lives of a Century of Jazzwomen by Linda Dahl and D. Antoinette Handy's Black Women in American Bands and Orchestras are a who's who of women in the music scene of the 20th century. 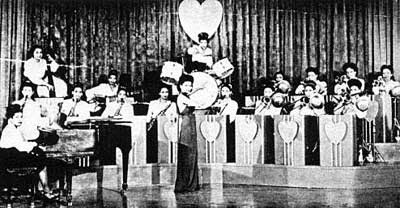 We present to you four of the Sweethearts' performances from 1947: She's Crazy with the Heat contains a piano solo by Johnnie Mae Rice with Violet Burnside on saxophone; Jump Children has Anna Mae Winburn providing the vocals; Vi's Vigor, which was Burnside's signature sax solo (that's Willie Mae Wong seated next to her); and How Bout that Jive? sung by Tiny Davis, with a trumpet solo at the end. Unfortunately, the audio track on the last two numbers seems to be about 15 seconds out of sync with the video; still, it's worth a look to see Tiny Davis use her physical presence to rivet the audience. I don't believe that the Sweethearts were the first Black women to travel with the USO, though they may well have been the first Black female group. 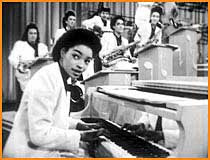 I've been researching Jazz-jive accordionist Julie Gardner, who was part of the first Black USO troupe to travel outside the US. They toured the Caribbean in 1943. I did a post about her as part of my search for more information, and perhaps recordings. 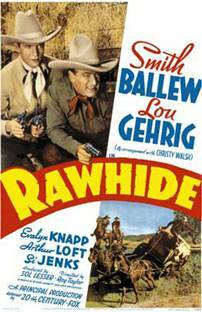 in HD hosted by the magnificent DEBBIE REYNOLDS will be a cinematic time machine that will transport viewers back to the 1930s, 40s and 50s -- when going to the movies was an event that included cartoons, entertaining short subjects and cliffhanging serials along with the feature films. Here is the Original Matinee at the Bijou PBS Series Promo and the lyrics to songwriter and composer Rich Mendoza's original theme song At the Bijou. Soon or late the movie as an art will have to emancipate itself from the movie as a vast, machinelike, unimaginative, imbecile industry...When that day comes the movies will split into two halves... 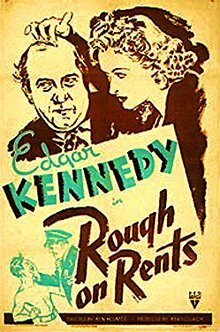 There will be huge, banal, maudlin, idiotic movies for the mob, and no doubt the present movie magnates will continue to produce them. And there will be movies made by artists, and for people who can read and write.